Clinical Associate Professor Sue Taylor completed her surgical training in Perth at UWA in General Surgery in 2001. She then completed post fellowship training at Ninewells Hospital in Dundee with the father of laparoscopic surgery in the UK, Sir Professor Alfred Cuschieri. 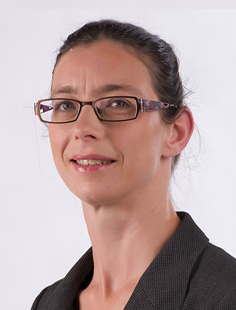 She specialises in upper gastrointestinal surgery at Western Surgical Health. In addition to her work in General and Bariatric surgery, she teaches and mentors medical students, junior medical staff and trainees, both in the hospital system and at UWA, particularly through CTEC and RACS courses. Her position as Head of Department at Osborne Park Hospital Surgical Services has activated other interests, such as sustainability in healthcare and breaking down the barriers between preventative, primary, secondary and tertiary healthcare. She is a strong advocate of electronic health records and communication. She has been a member of Doctors for the Environment Australia for over a decade, and is currently the Chair of the Anglican Ecocare Commission. She regularly offsets her stubborn cycling/commuting, sourdough-baking and composting by flying off to Japan for winter skiing. - St John of God Hospital, Subiaco.